Total Score: 8.33 + ULTIMATE ENTHUSIAST AWARD! 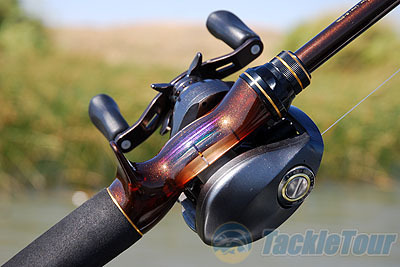 Introduction: As the crankbait rod wars continue we turn our attention to the premium Steez Fle-X-Lite from Daiwa and see if this rod is worth the high price of admission. These all graphite rods are designed to be the ultimate cranking rods when it comes to weight and sensitivity while still offering fiberglass-like flexibility. 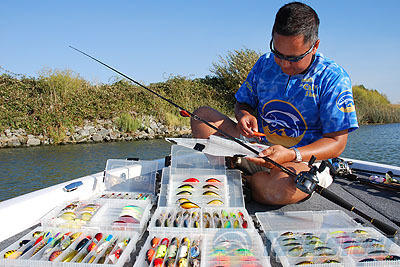 Impressions: The original Steez rod lineup was designed primarily for plastics and contact bait fishing. The introduction of the new flipping model mid year further extended the range of applications for the series. Even more recently at last month�s ICAST the company further expanded that lineup with the Steez XBD frog rod which is a Steez rod designed specifically to accommodate today�s braided super lines. Over the years the ultra premium Steez rods have found homes in the hands of many enthusiast grade anglers looking for the very best that Daiwa has to offer. Daiwa's SVF Fle-X-Lite rods incorporate the company�s super volume fiber construction to deliver the flexibility of fiberglass with the lightweight high-strength properties of graphite, and are purposely designed for crankbait and jerkbait fishing. 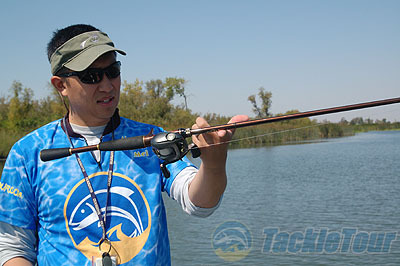 The Fle-X-Lite series includes three trigger and two spinning rods. These Steez rods are designed to offer anglers the distinct advantages of SVF technology which packs unidirectional graphite fiber into a denser form with exact resin control. This results in greater overall strength, lighter weight and excellent sensitivity. 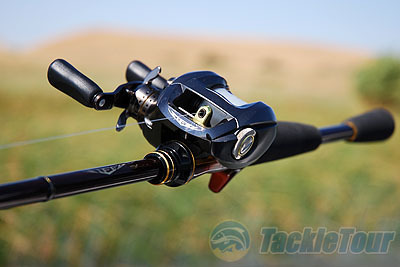 Daiwa�s Steez SVF Fle-X-Lite rods also feature high end components including Fuji Titanium-framed SiC guides the same slick machined aluminum reel clamp nut similar in design but different in color than those used on the previous Steez rods. 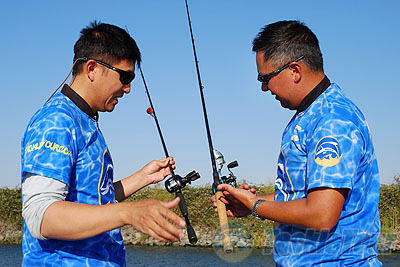 Like other rods in the Steez lineup Daiwa eliminates the traditional foregrip to help reduce excess weight and further improve sensitivity. 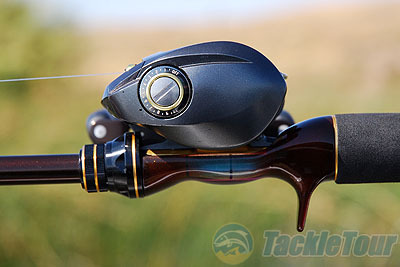 All in all the Fle-X-Lite rod looks very slick and sets itself apart from the other Daiwa rods with a brown and gold combination versus the black and silver found on the original Steez rods. The rod is finished with a laser engraved gold insert that matches the gold anodizing on the machined aluminum fore-nut.